The Launchpad has been out for quite a while, but most people use it on Ableton Live, but what about using it on FL Studio how does it behave is it the same as Ableton Live or completely different, the answer is, yes it is different but with similar features and also with some unique ones. The mapping on FL Studio is completely different from Ableton Live in terms of browsing through the DAW, there are even stickers to put on the Launchpad so it can guide you on FL Studio. There is an interesting design on the mapping for FL Studio, unlike Ableton Live you don't have control of your mixer, instead it uses a several different pages of mappings, for example there is a page where it displays a 49 keys piano keyboard, a page to play with the FPC, highlighting the pads and faders, another one with just vertical or horizontal faders to assign and so on. The best thing about this pages they are completely customizable, you can for example create a 25 keys keyboard with 4 horizontal faders, you can also create pages with DAW controls, you can check on how to do this on the link below. There is a clip launching mode like in Ableton Live, to do that you need to turn your project into a performance one, all you have to is go to Tools->Macros->Prepare for Performance Mode. It works exactly the same way as Ableton Live but in a horizontal layout. Light show works the exact same way as in Ableton Live using a MIDI Out and building the sequence of the notes with the piano roll, but in order to activate the light show, you have to put a note on G10, this will disable the lights of the standard layout, I will link a video on how to do this below. 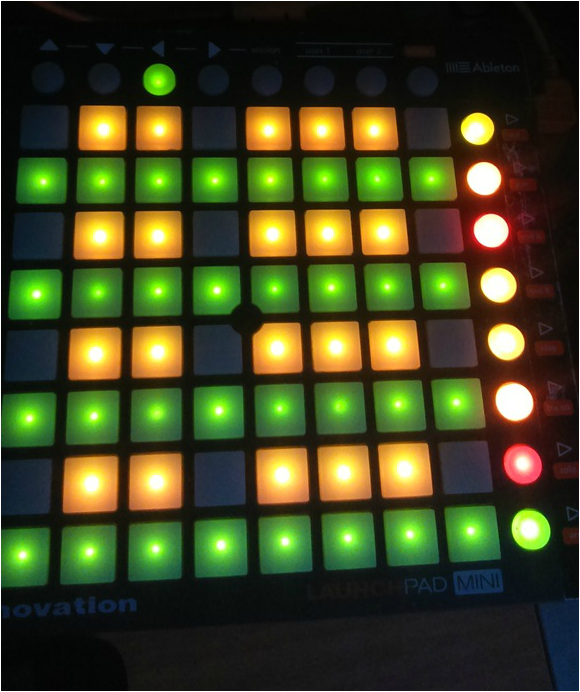 Final thoughts if you want to use the Launchpad as a performance device I would suggest to stick with the Ableton Live, it is just easier to achieve what you need, but if you intent to use it as a music production tool, the page layouts just help so much on producing music I strongly recommend using it. ​Hi, I am Buzz an electronic bass music producer, I've created this website for the purpose to exhibit my designs, tracks, videos and find out my concert schedule. I will be releasing samples very often, also create articles explaining some concepts of Synthesizers, music production and in the future I will be making videos explaining how I designed some of my sounds. Here it is a brief description of what I will be doing with this page so now enjoy my FREE BASS SAMPLE PACK . Hello everyone, when I was learning to produce I spent many and many hours looking on Youtube videos, on how to make x artist bass, how to make a Dubstep drop and so on. There were some good tutorials but also a lot of bad ones, stumbling upon the bad tutorials wasn't even the real issue, it was the time I spent on looking and watching tutorials, I lost way too many hours looking on how to produce Dubstep. 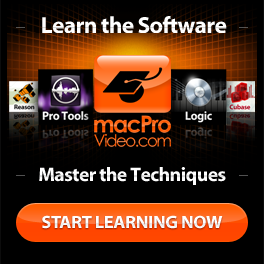 One day I stumbled upon the courses from macProVideo and this course was the first one I found out. I noticed right ahead the course was very organized and had some fundamentals I needed to learn to produce Dubstep and besides that I also saw from the same teacher, he had different courses on genres that I also produce, like Drum & Bass, Trap and Glitch Hop. So I thought to myself why not buy a one month subscription on macProVideo, I gave it a shot and I was amazed by how good the course was. 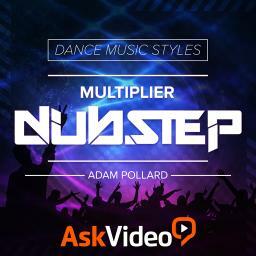 Multiplier set up a very organized course, teaching you the fundamentals on how to produce Dubstep, from Drum design, even how you should synthesize the Kick and Snare to have that Dubstep punchy feeling, I tried out his tips and I synthesize one of the Snare sounds I was looking for so long but never manage to find a good sample pack with the desired Snare. He does also an amazing job teaching you the fundamentals on how you can design a bass sound, instead of teaching you on how to make a x artist bass sound, like most tutorials you find on Youtube. Instead of giving you the fish he teaches you how to fish and that's one of the biggest strengths in this course. On the more technical part like designing the bass with Xfer Serum and how to master a Dubstep track, he teaches you the fundamentals on how to design any bass sound you desire with Xfer Serum. After you learn the theory and practical part on how to produce this genre, some tips are given also to make your track stand out from the others and also the most common mistakes a lot of producers do, cutting the trial and error learning curve so hard. Overall if you want to learn how to produce Dubstep and don't know where to start or you are an intermediate/ advance producer you will also learn a few new things, that will take your producing skills to the next level for a very affordable price, definitely worth the money and time. Here is the link to the course and also the link to his Youtube Channel if you wish to follow him. ﻿Hi today I am making available 4 new mini-packs and 1 pack that contains all the of them. These packs contain different type of Bass sounds, you can obtain the mini-packs from 1 euro and the pack that contains all the mini-packs for the price of 3 euros (25% of buying them all individually). Hope you enjoy the new samples and press the button "Bass Sample Packs" to access the mini-packs. Hi today I am releasing a new 808 sample pack, under the name of Buzzy 808 Mini-Pack. All my Mini-Packs will have very affordable prices, you can buy the sounds individually and also preview them, so you can know what you are buying. For the price of 1 euro, you can buy the entire pack. ​Hope you folks enjoy this new content.